Each tool holder style has its own unique properties that must be considered prior to beginning a machining operation. 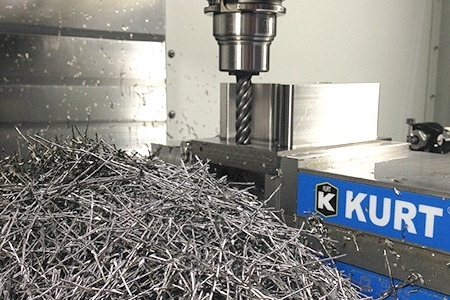 A secure machine-to-tool connection will result in a more profitable shop, as a poor connection can cause tool runout, pull-out, scrapped parts, damaged tools, and exhausted shop resources. An understanding of tool holders, shank features, and best practices is therefore pivotal for every machinist to know to ensure reliable tool holding. The basic concept of any tool holder is to create a compression force around the cutting tool’s shank that is strong, secure, and rigid. Tool holders come in a variety of styles, each with its own spindle interface, taper for clearance, and compression force methods. 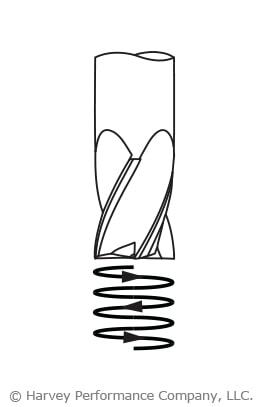 The most basic way in which spindle compression is generated is by simple mechanical tightening of the tool holder itself, or a collet within the holder. The downside of this mechanical tightening method of the spindle is its limited number of pressure points. 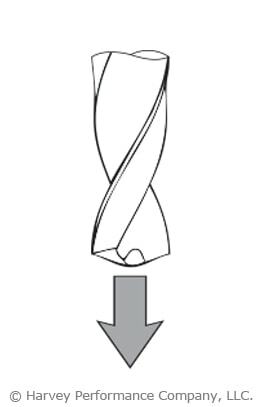 With this style, segments of a collet collapse around the shank, and there is no uniform, concentric force holding the tool around its full circumference. Other methods create a more concentric pressure, gripping the tool’s shank over a larger surface area. Hydraulic tool holders create this scenario. They are tightened via a pressurized fluid inside the bore of the holder, creating a more powerful clamping force on the shank. Shrink fit tool holders are another high quality tool holding mechanism. This method works by using the thermal properties of the holder to expand its opening slightly larger than the shank of the tool. The tool is placed inside the holder, after which the holder is allowed to cool, contracting down close to its original size and creating a tremendous compressive force around the shank. Since the expansion of the bore in the tool holder is minuscule, a tight tolerance is needed on the shank to ensure it can fit every time. Shank diameters with h6 tolerances ensure the tool will always work properly and reliably with a shrink fit holder. 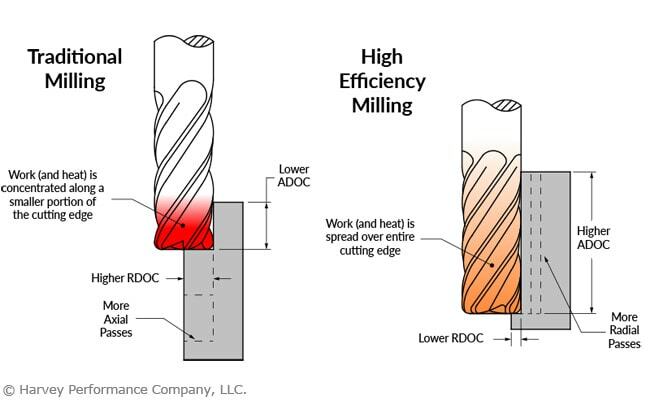 Along with choosing correctly when it comes to tool holding options, tool shanks can be modified to promote a more secure machine-to-tool connection. These modifications can include added grooves on the shank, flats, or even an altered shank surface to aid in gripping strength. A Weldon flat can be used to create additional strength within the tool holder. The tool holder locks a tool in place with a set screw pushing on a flat area on the tool shank. Weldon flats offer a good amount of pull-out prevention due to the set screw sitting in the recessed shank flat. Often seen as an outdated method of tool holding, this method is most effective for larger, stronger tools where runout is less of a concern. Helical Solutions offers a ToughGRIP shank modification to its customers, which works by increasing the friction of the shank – making it easier to grip for the tool holder. This modification roughs the shank’s surface while maintaining h6 shrink fit tolerance. In the Haimer Safe-Lock system, special drive keys in the chuck interface with grooves in the shank of the tool to prevent pull-out. 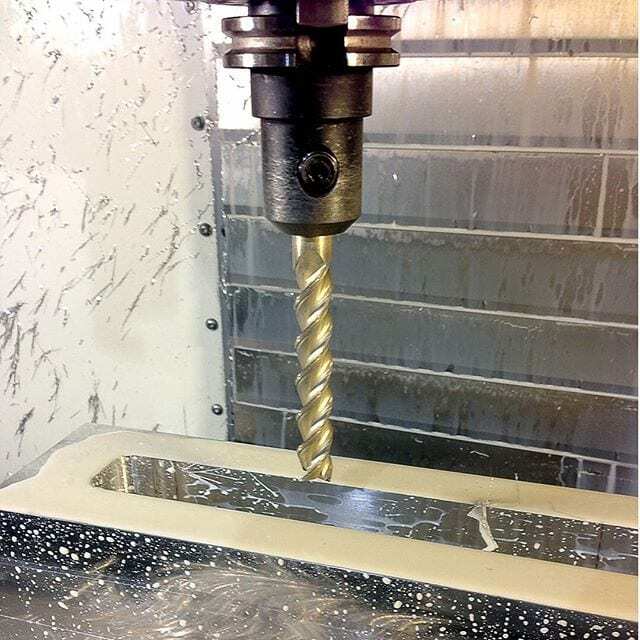 The end mill effectively screws into the tool holder, which causes a connection that only becomes more secure as the tool is running. 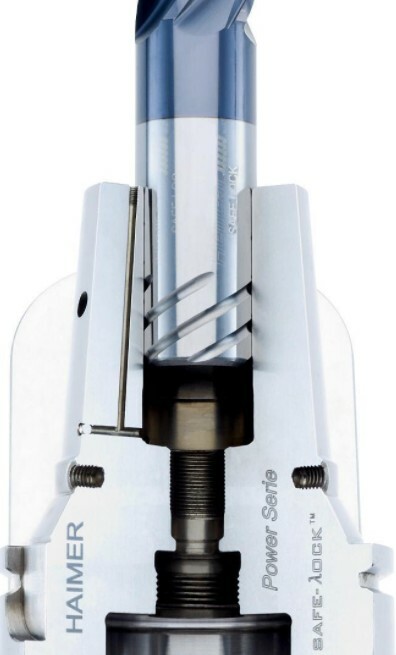 Haimer Safe-Lock™ maintains h6 shank tolerances, ensuring an even tighter connection with shrink fit holders. 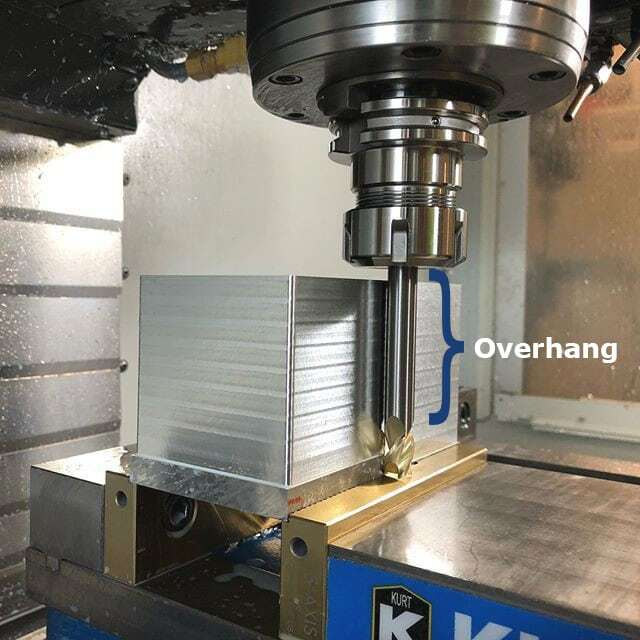 While choosing a proper cutter and running it at appropriate running parameters are key factors to a machining operation, so too is the tool holding method used. If opting for an improper tool holding method, one can experience tool pull-out, tool runout, and scrapped jobs. 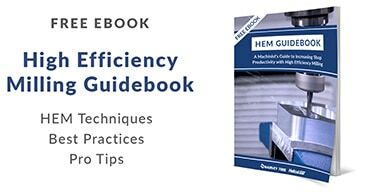 Effective tool holding will prevent premature tool failure and allow machinists to feel confident while pushing the tool to its full potential. Tool runout is a given in any machine shop, and can never be 100% avoided. Thus, it is important to establish an acceptable level of runout for any project, and stay within that range to optimize productivity and prolong tool life. Smaller runout levels are always better, but choice of machine and tool holder, stick-out, tool reach, and many other factors all have an influence on the amount of runout in every setup. Tool runout is the measurement of how far a cutting tool, holder, or spindle rotates off of its true axis. 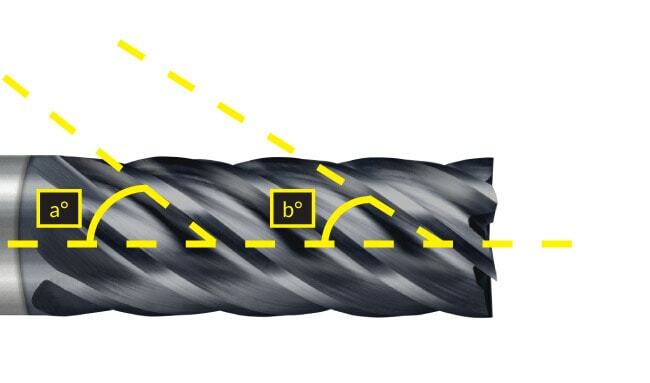 This can be seen in low quality end mills where the cutting diameter is true to size when measured while stationary, but measures above tolerance while rotating. The first step to minimizing runout is understanding what individual factors cause runout in every machine setup. 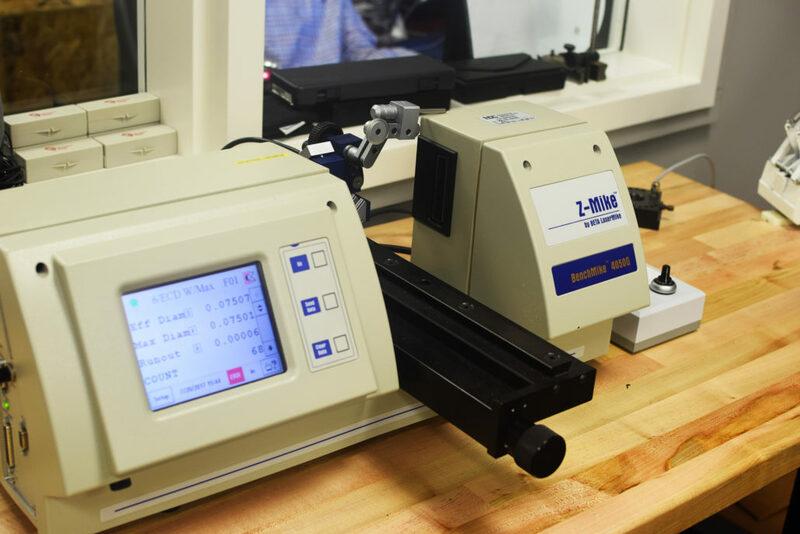 Runout is seen in the accuracy of every cutting tool, collet, tool holder, and spindle. 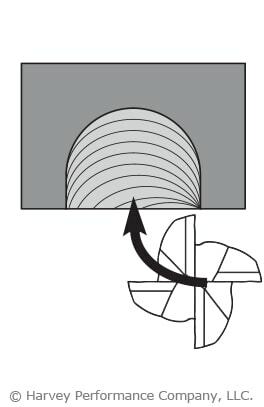 Every added connection between a machine and the workpiece it is cutting will introduce a higher level of runout. 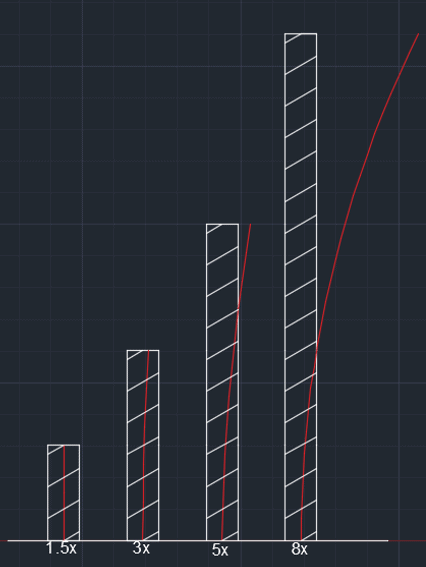 Each increase can add to the total runout further and further. 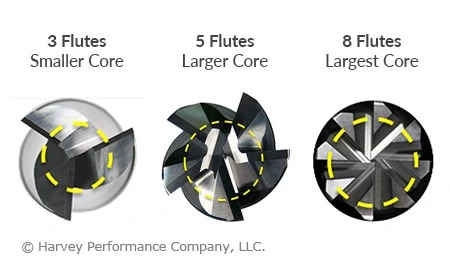 Steps should be taken with every piece of tooling and equipment to minimize runout for best performance, increased tool life, and quality finished products. Determining the runout of your system is the first step towards finding how to combat it. Runout is measured using an indicator that measures the variation of a tool’s diameter as it rotates. This is done with either a dial/probe indicator or a laser measuring device. While most dial indicators are both portable and easy to use, they are not as accurate as the available laser indicators, and can also make a runout measurement worse by pushing on a tool. This is mostly a concern for miniature and micro-tooling, where lasers should be strictly used due to the tool’s fragile nature. Most end mill manufacturers recommend using a laser runout indicator in place of a dial indicator wherever possible. Z-Mike laser measurement devices are common instruments used to measure levels of tool runout. 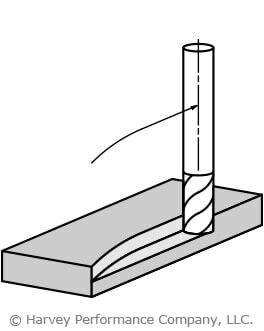 Runout should be measured at the point where a tool will be cutting, typically at the end of the tools, or along a portion of the length of cut. A dial indicator may not be plausible in these instances due to the inconsistent shape of a tool’s flutes. Laser measuring devices offer another advantage due to this fact. The amount of runout in each component of a system, as-manufactured, often has a significant impact on the total runout of a given setup. 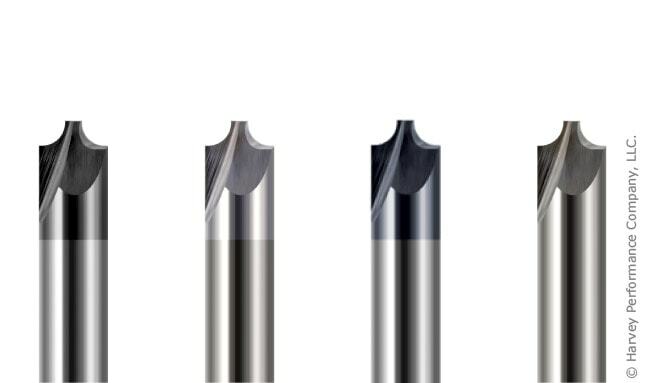 Cutting tools all have a restriction on maximum runout allowed when manufactured, and some can have allowances of .0002” or less. This is often the value that should be strived for in a complete system as well. For miniature tooling down to .001” diameter, this measurement will have to be held to an even smaller value. 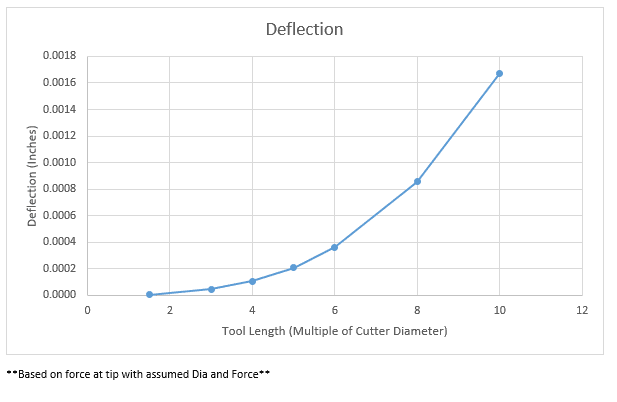 As the ratio of tool runout to tool diameter becomes larger, threats of tool failure increase. As stated earlier, starting with a tool that has minimal runout is pivotal in keeping the total runout of a system to a minimum. This is runout that cannot be avoided. The next step to minimizing runout is ensuring that you are using a high quality, precision tool holder. These often come in the form of shrink-fit, or press-fit tool holders offering accurate and precise tool rotation. 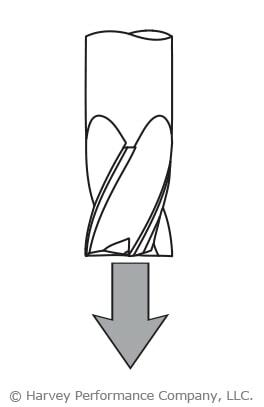 Uniform pressure around the entire circumference of a shank is essential for reducing runout. Set screw based holders should be avoided, as they push the tool off-center with their uneven holding pressure. Collet-based tool holders also often introduce an extra amount of runout due to their additional components. 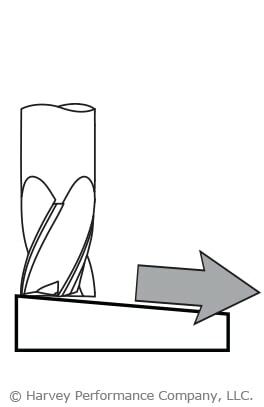 Each added connection in a tool holding system allows more methods of runout to appear. Shrink-fit and press-fit tool holders are inherently better at minimizing runout due to their fewer components. Included in your tool holding considerations should be machine tool cleanliness. 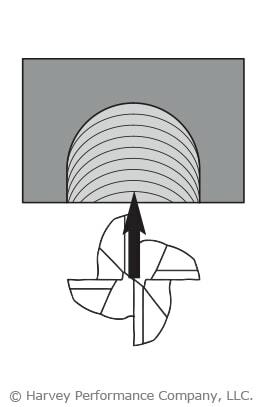 Often, chips can become lodged in the spindle, and cause an obstruction between two high-precision surfaces in the system. Ensuring that your tool holder and spindle are clean and free of chips and debris is paramount when setting up for every job. Apart from equipment itself, many other factors can contribute to an increasing amount of tool runout. These can include how long a tool is, how rigid a machine setup is, and how far a tool is hanging out of its holder. Shank modifications, along with their methods of tool holding can have a large impact. Often thought of as an older, obsolete technology, Weldon flats are found guilty of adding large amounts of runout in many shops. While many shops still use Weldon flats to ensure a secure grip on their tools, having a set screw pushing a tool to one side can push it off center, yielding very high levels of runout. Haimer Safe Lock™ is another option increasing in popularity that is a much higher performance holding technology. The Safe-Lock™ system is designed with the same tolerances as shrink fit and other high precision tool holders. It is able to minimize runout, while firmly holding a tool in place with no chance of pull-out. 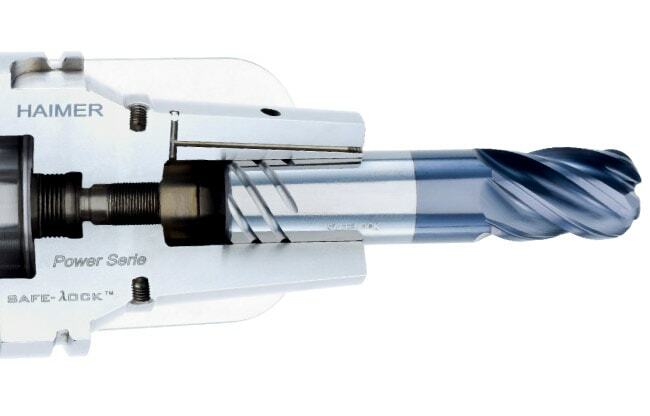 The Haimer Safe-Lock™ system is one option to greatly reduce tool runout. 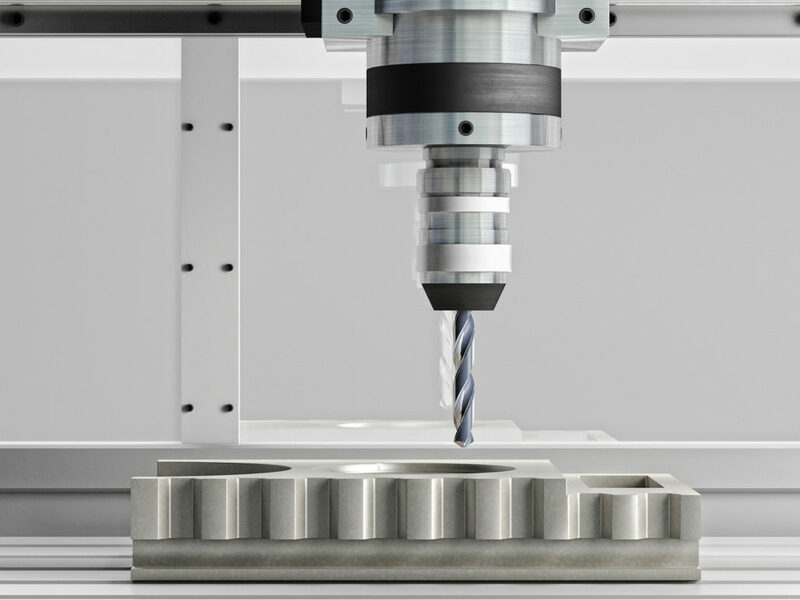 Runout will never be completely eliminated from a machining system. However, steps can (and should) be taken to keep it to a minimum using every method possible. Keeping a tool running true will extend tool life, increase performance, and ultimately save your shop time and money. 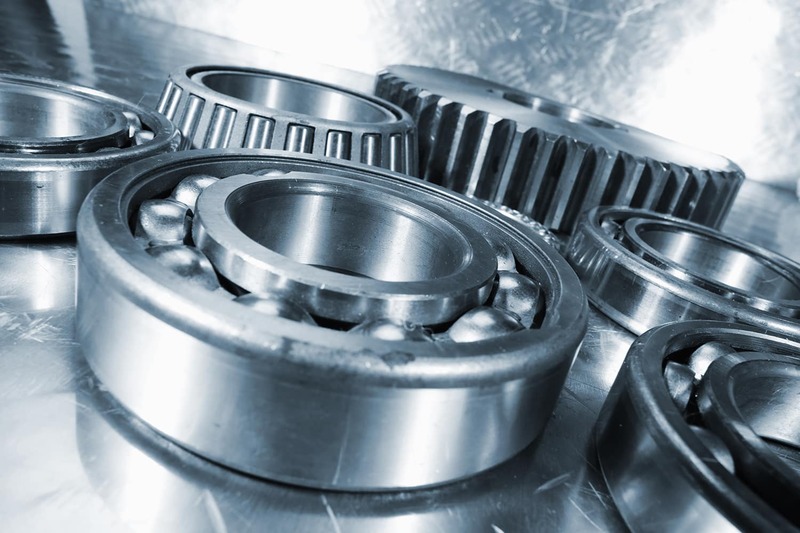 Runout is a common concern in the metalworking industry, but it is often overlooked when it could be main issue causing part rejections and unacceptable results. Every piece of a machine tool plays a part in the resultant runout, and none should be overlooked.